Flula Borg was born and raised in Erlangen, Germany, where he started his performance career as a traditional Bavarian Schuhplattler dancer. After unintentionally winning the Scion National Hypeman contest (he entered as its only international contestant), he relocated to Hollywood, California, to continue growing his music and acting career. To grab Hollywood's attention, Flula turned to YouTube to share his original songs, creative remixes, and exploration of American culture and language, quickly amassing over 780K subscribers, 90 million views, and earning recognition as one of Variety's "Ten Comics to Watch." Several of his videos went viral, including "Jennifer Is A Party Pooper," which has been watched over 30 million times across the internet. His videos led to appearances on The Today Show, Last Call With Carson Daly, Chelsea, and ESPN SportsCenter, giving him the springboard he needed to launch his acting career. Flula's first post-Internet appearance -- thanks to his engineering degree -- came when Spike TV's "Auction Hunters" hired him as the resident German Electronics Repairman. Several roles soon followed, including Universal Pictures' "Pitch Perfect 2" in which he played Pieter Kramer, the male lead of DSM. This led to roles in Fox Pictures' "Ferdinand," "Alvin and the Chipmunks: The Road Chip," and Orion Pictures' "Buddymoon," which won Slamdance Film Festival. 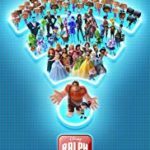 Several other film roles are in the works, including parts in Disney's "Ralph Breaks the Internet," Dreamworks' "Trolls 2," "Johnny Fist: The Cowboy of a Making" -- which he is co-producing -- among several others. His ever-growing list of small screen credits includes HBO's "Curb Your Enthusiasm" and "Silicon Valley," Comedy Central's "Workaholics" and "@Midnight," Conan O'Brien's frequently excitable guest on TBS's "Conan," the NBC Pilot "Cuckoo" (in which he played, you guessed it, Cuckoo), FX's "Archer," TVLand's "Younger," a recurring role in J.K. Simmons' dystopian drama "Counterpart," the lead bad guy in "Boss Baby: Back in Business" and as host of the never-before-seen FOX pilot, "So You Don't Think You Can't Not Dance But You Probably Can't". Audiences can see Flula live as Conan O'Brien's musical guest and MC on Conan's "Stand-up and Investment Tips" tour across America. He lives (mostly) in Los Angeles and is deathly scared of pet monkeys.